To get me in the mood for my upcoming New York voyage, I wanted to cook something quintessentially New York. What came to mind were the sights and smells of Honey Roasted Nuts served in small paper bags, the irresistible hallal chicken and lamb shawarma’s on the street, the aroma of fresh coffee in the morning in blue and white ‘We are happy to serve you’ paper cups, along with fresh bagels with cream cheese and lox eaten on the way to work. Black and White cookies larger than my hands, tingling hot roasted chestnuts on a cold winter’s eve, the softest pretzels in Central park, and the sight of rugged men cutting pastrami at Katz’s. And when you only have a few bucks to spare; a Gray’s Papaya hot dog smothered in mustard and ketchup. 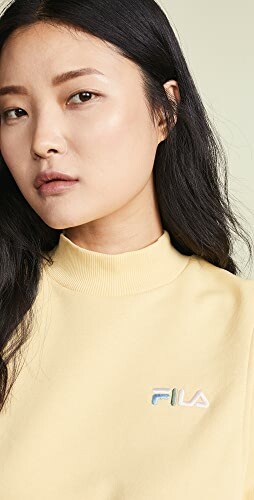 Instead, however, I went back to a simple recipe that was was born and bred on 50th and Park, within the lavish settings of the Waldorf Astoria. The Classic Waldorf Salad we’ve all come to know and love, was created by Oscar Tschirky, the maître d’hotel in the 1890’s. 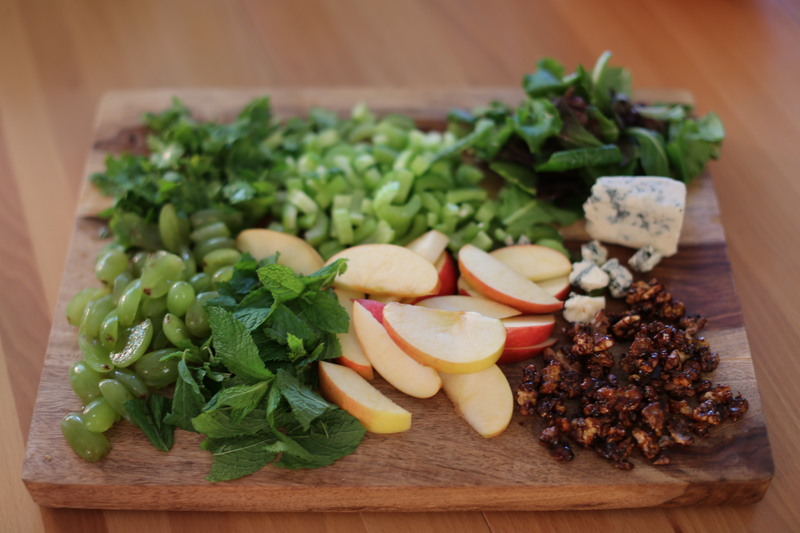 It was traditionally made up of fresh apples, celery, dressed in mayonnaise served on a bed of lettuce. (The nuts were added later). 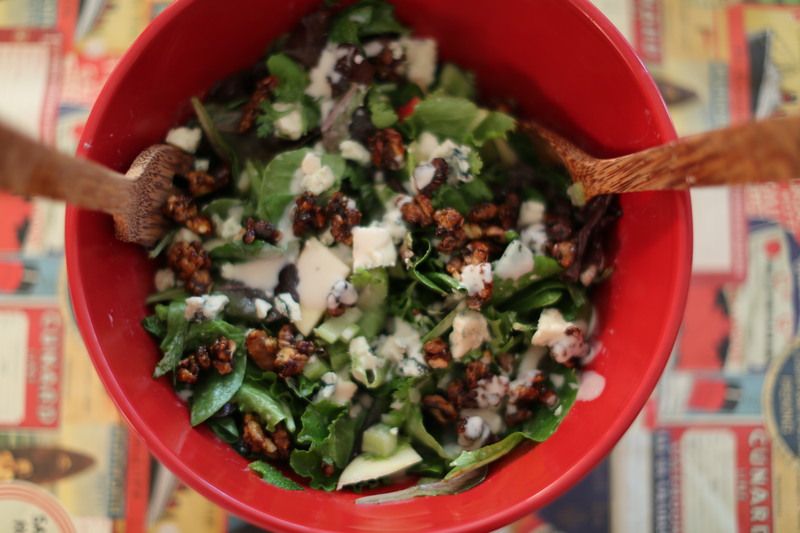 I’ve added a little sass to my version of the recipe, with a few enticing additions and substitutions; candied walnuts, blue cheese, and fresh mint. After all, in an ever-changing city, growing, developing and evolving everyday, I believe this classic salad be kept au courant too. Heat a skillet over medium heat, add walnuts, sugar and salt. 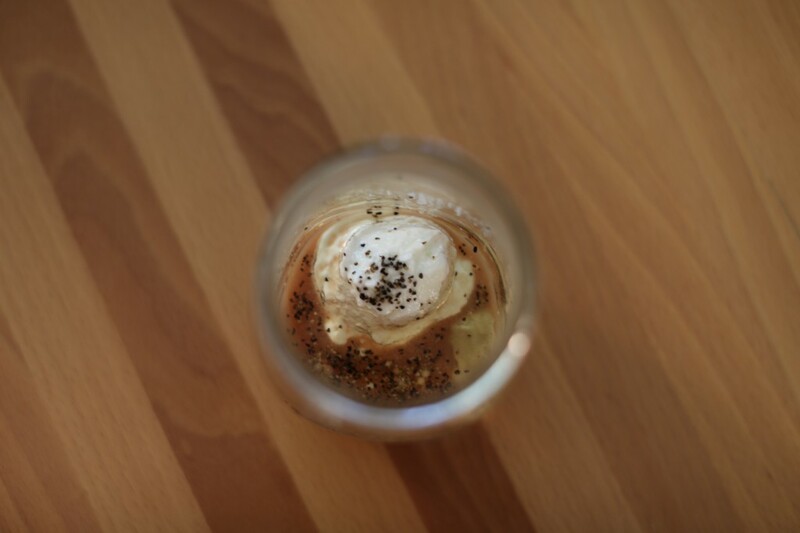 Sit mixture continuously with a wooden spoon to avoid burning the sugar. The sugar granules will liquefy. Continue stirring, making sure to scrape bottom of pan to avoid sticking and burning. The sugar should begin changing color about 6-8 mins after sugar melts. 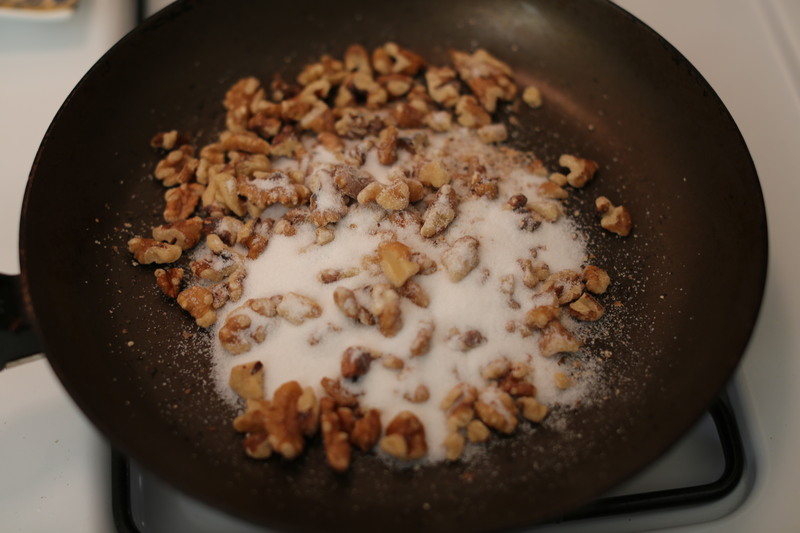 Stir until all of the walnuts have a sugar coating. 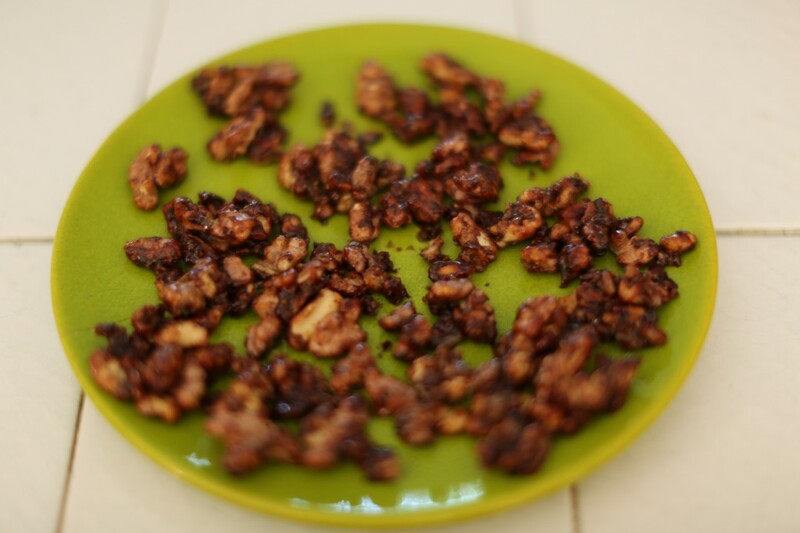 Spread sugared walnuts on a baking sheet lined with wax paper. 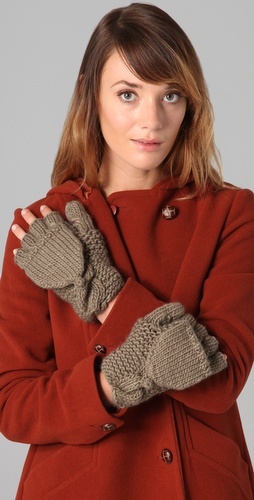 Break large clumps with a fork. 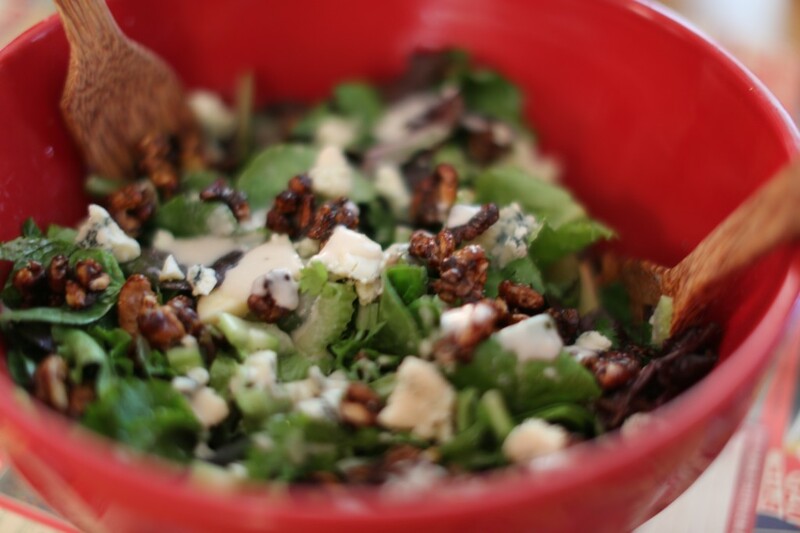 Allow walnuts to cool completely. 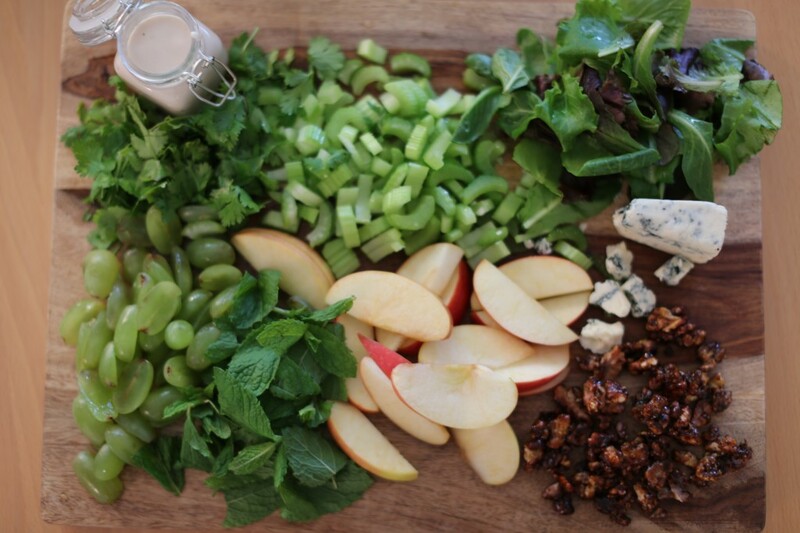 Add your lettuce leaves, celery, grapes and apples, parsley and mint in a large salad bowl. 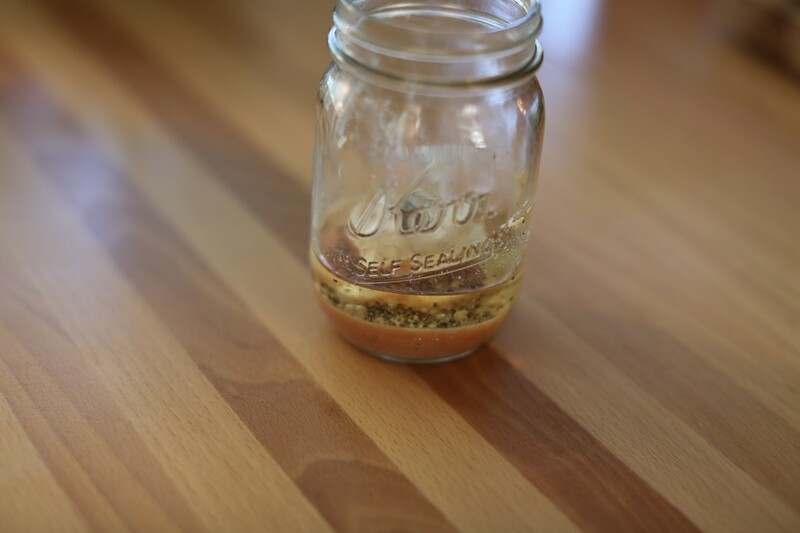 Add the dressing ingredients in Glass jam jar, and shake vigorously until emulsified together. 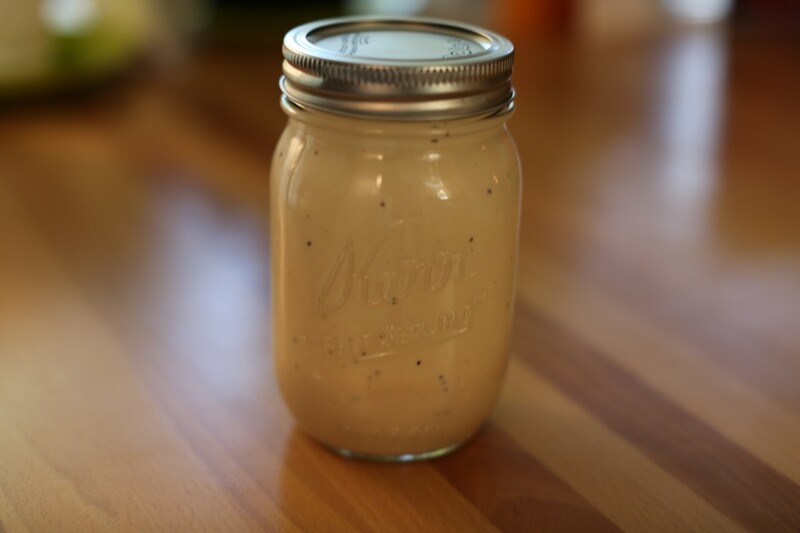 Drizzle dressing over the leaves. Toss. 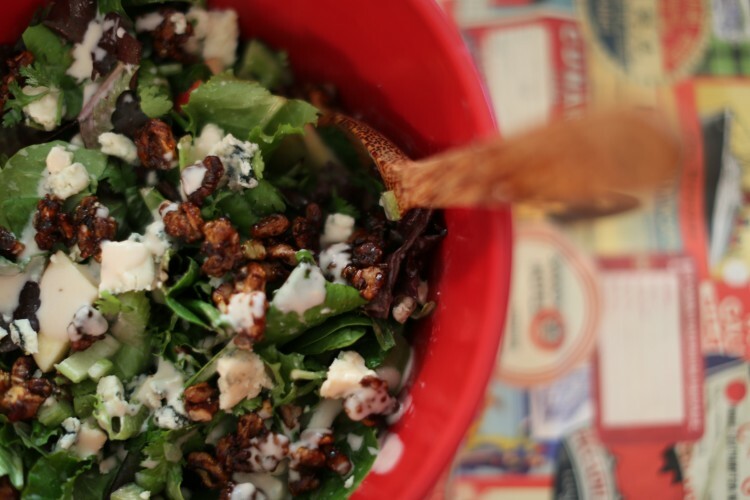 Crumble good size chunks of Blue Cheese onto the salad and toss gently.